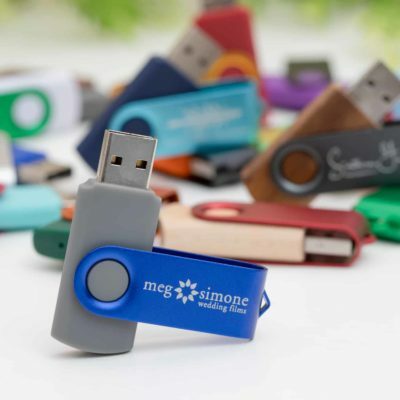 A great keepsake handmade box built for a flash drive that will most definitely impress your clients–our Premium Wood Flash Drive Box is made right here in the USA. The photos you created of your client’s special occasion aren’t the only keepsake you can deliver. Why not knock their socks off from the instant they see HOW you chose to deliver their files?! 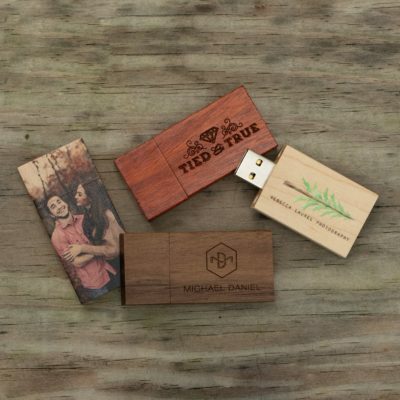 Our Premium Wood Flash Drive Box – which comes with the option to have the lid customized by laser engraving – combines touches of tradition with modern aesthetics. 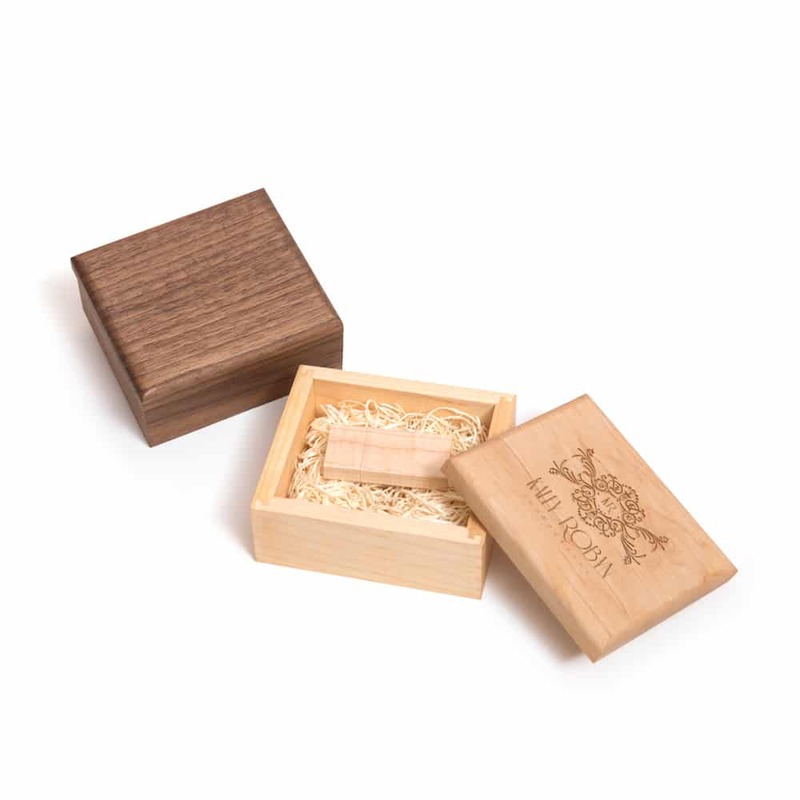 Available in your choice of 3/8” thick walnut or maple, these boxes are as beautiful as they are sturdy. Once the fully-removable lid is taken off and set to the side, a bed of wood wool inside the base of the box provides your drive (not included) a comfortable and safe place to live when not in use. Each box boasts high quality craftsmanship, a perfect finish, and will surely be a showpiece for your clients for years to come.